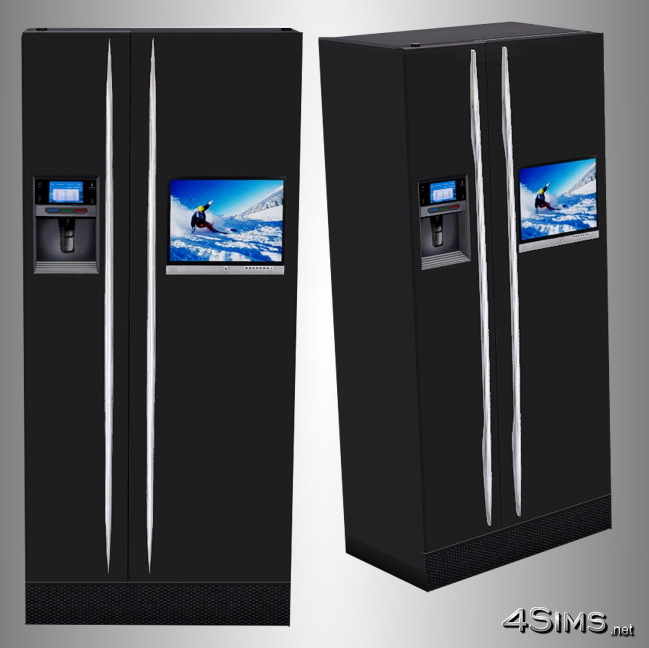 Ultra modern side by side refrigerator with TV for Sims 3. 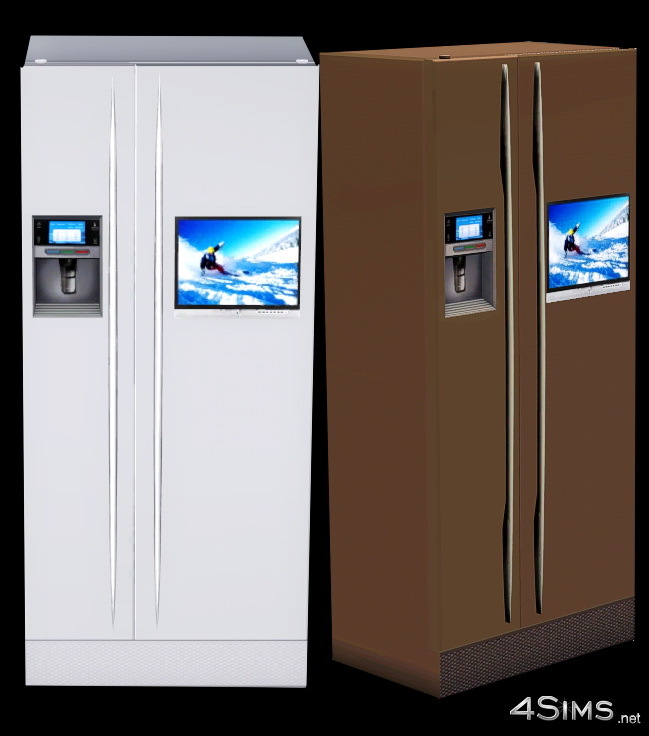 Base game compatible, fully functional as fridge , modified (custom) mesh, 2 channel recolorables. 3 presets included in pack.